YOU’RE DRIVING CENTRAL AVENUE AND ALL OF A SUDDEN. WHAT’S THAT? 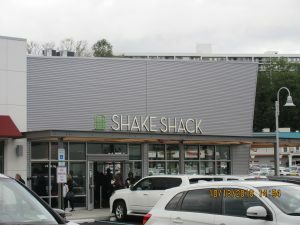 GOOD GOD ALMIGHTY WHICH WAY DO I STEER–IT’S THE ONE THE ONLY THE DELICIOUS-GOOD-FOR-YOU SHAKE SHACK! CLICK BELOW TO SEE THE LOCATION–YOU CAN’T MISS IT! PLAY CLICK ON THE WPCNR VIDEOS BELOW TO SEE ALL ABOUT IT. ALL PROCEEDS FROM THIS “SOFT” OPENING WERE DONATED TO CHILD CARE COUNCIL OF WESTCHESTER AND THEY WERE THRILLED! SO WERE THE CUSTOMERS. WHAT’S THE SECRET?